St. Martin's Press, 9781250065261, 352pp. 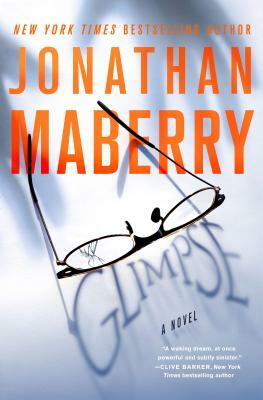 “Jonathan Maberry knows how to turn words into cold sweat, and GLIMPSE shows him at his finest. Always one of our best suspense writers, Maberry delivers an engrossing, pulse-pounding novel about twisted lives and a determined, haunted woman readers will not soon forget. You will be as captivated by his characters as they are captivated by their fears and their destiny.” —Kevin J. Anderson, #1 New York Times bestselling author of ETERNITY’S MIND.